The poker scene in Norway is pretty bleak for Norwegians at present, largely because of the Governments anti-gambling stance throughout the country as well as the countries resistance to laws passed by the European Union. Online poker is legal from within Norway only if the online poker site is a legally licensed Norwegian online poker room. The government of Norway passed laws similar to the UIGEA in The United States that effect the poker industry within the country. The laws don’t directly affect the legality of online poker, but they do change the ways that banks in Norway are able to process transactions with online gambling establishments. The goal here is to keep transactions from being processed in Norway and therefore hinder Norwegian poker players from getting their money onto poker sites. This could be because as a part of the European Union, gambling is legal in the country. Many countries in the union, such as Norway, and Northern Ireland for instance have passed local legislation that outlaws online poker play, which directly contradicts laws made by the EU. Despite Norway’s gambling monopoly there are more than 30 sites offering online poker play to Norwegians. So while the government is doing everything it can to prevent online gambling in in the country, the people have thus far prevailed. There used to be a number of poker halls and live poker rooms scattered throughout Norway. That was until 2013 when all forms of live poker were made illegal by the Norwegian Government. When the Norwegian police cracked down on casinos in Norway their mission was successful. After 2007 not a single Norwegian casino remained. However this has not forced the extinction of gamblers in Norway, the game of poker and hundreds of other casino games are still extremely popular among certain groups and parts of the country. Because live poker is Illegal in Norway, a lot of poker fanatics go to Northern Ireland and to the United States to play in poker tournaments. There are even a few tournaments in Ireland that are only open to poker players from Norway. 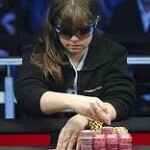 The most well-known poker player from Norway is Annette Obrestad who really began to garner attention from the poker world when she at the tender (yet calculating) age of 18 became the only woman ever to take down a WSOP title when she won the World Series of Poker Europe. While she was at it, she also scooped up the record for becoming the ‘youngest player ever to win the WSOP’ at that same time. Believe it or not, Obrestad who’s known for her amazing mathematics skills is a high school drop-out. 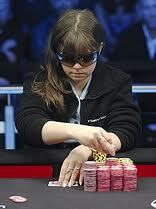 Back in 2007 she was considered one of the best poker players in the world. Thor Hansen has taken down two World Series of Poker events as well. His first bracelet was won back in 1998 playing seven card stud. In 2002 Hansen won his second bracelet playing deuce to seven lowball. Hansen began playing poker in the back room of his family’s store. Andreas Høivold was born in 1971 in Kristiansand, Norway. Growing up playing five card draw; Andreas took up playing No Limit Hold’em in 2003. Andreas decided it was time to play with the pros in 2006. Høivold became famous that year after placing third in the Poker Million V, winning a quarter million dollars. By 2008 his winnings amounted to more than a million dollars. Johnny Lodden, born in 1985, made a name for himself by defeating some of the most renowned PokerStars on the internet. Lodden was screen name “Lars-Magne” on Poker starts; as well as “bad-ip” on Prima Networks. As of 2008 Johnny Lodden has won a total of $350,000. This includes an 11th place finish at the World Series of Poker Europe on October 2nd 2008 playing no-limit hold’em. The following sites accept poker players from Norway. We’ve chosen sites that are the most popular among Norwegians, some of these sites accept deposits in Norwegian Kroners, and others allow actual play in Kroners however, some of these sites may simply allow Norwegian’s to play poker but only offer play in Euro’s Pounds or Dollars. Additionally, some but not all of the following poker sites offer either games, support, or both in Norsk, the official language of Norway. Until recently, in Norway, you used to be able to use a credit card to deposit or withdraw money on an online gambling website. However recently the Norwegian government passed a law that made getting or receiving any money from a Norwegian gambling site is unlawful. They did so to reinforce their ban on online gambling. However some would disagree and say that it was an attempt to further their monopoly on the online gambling in Norway. 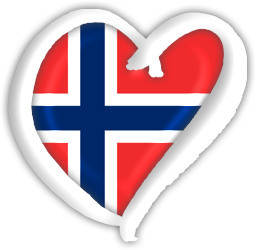 The most anticipated event for Norwegian poker is the Norwegian Championship of Poker 2013. This tournament is happening on March 16 through March 24th. The series of tournaments is being held in Dublin Ireland but is only open to poker players who live in Norway. Players who want to participate in this tournament can sign up with PokerStars as long as their at least 18 years of age.